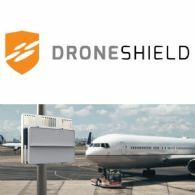 DroneShield Ltd (ASX:DRO) (OTCMKTS:DRSHF) is pleased to announce that it has been accepted as a member of the Border Security Technology Consortium. 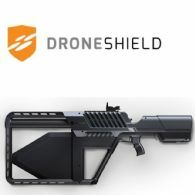 DroneShield Ltd (ASX:DRO) (OTCMKTS:DRSHF) is pleased to announce a launch of the additional product DroneCannon RW(TM), in response to end-user requirements. DroneShield Ltd (ASX:DRO) (OTCMKTS:DRSHF) is pleased to announce that its distributor GT&E has purchased two units of its DroneGun Tactical(TM) product, for use by a national security agency of a major Asian country allied with the United States, to be deployed by the agency for drone threat mitigation. 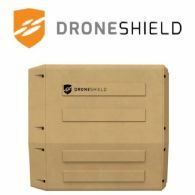 DroneShield Ltd (ASX:DRO) (OTCMKTS:DRSHF) is pleased to announce that it has received an order for its DroneSentry(TM) drone mitigation system and DroneGun Tactical(TM) jammer products, for use by a government security agency in Central America. This approximately $300,000 order was placed for the security agency with the Company by the Company&apos;s distributor M.G. Suber & Associates LLC. 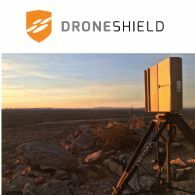 On 14 June 2018, DroneShield Ltd (ASX:DRO) (OTCMKTS:DRSHF) advised the market that it had received a $3,200,000 order for 70 DroneGuns(TM) for use by a Middle Eastern Ministry of Defence. The Company is pleased to advise that the relevant U.S. governmental approval has now been granted. DroneShield Ltd (ASX:DRO)(OTCMKTS:DRSHF) is pleased to announce that it has been selected by the Danish Special Operations Command to participate in the Night Hawk 2018 exercise held at the Aalborg Airbase in Denmark, with DroneShield deploying its system there on 19-21 September. 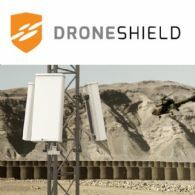 DroneShield Ltd (ASX:DRO) (OTCMKTS:DRSHF) is pleased to announce that it has been accepted as a member of the Information Warfare Research Project consortium, a consortium focused on advancing information warfare capabilities to enhance United States Navy and United States Marine Corps mission effectiveness.